I’ll be honest, when I got the diagnosis I was ticked and a little depressed. And then I came home and took the longest deepest nap I have taken for a long time. Today I met with the surgeon (after having already had two other meetings to get to this point), and my surgery is scheduled for Monday afternoon. Why was I ticked? Because this is NOT how I planned on spending the first part of this year. I was going to do other things, like build a wall in my basement, work in my new shop, play around with the house we moved into in November, continue my exercise program, etc. But since January 2nd I’ve pretty much been laid up in bed, with my ankle elevated. Why was I depressed? Same as above, plus I thought I had been healing for the last 14 days, and it turns out the main issue wasn’t being healed. Oh yeah, there’s the whole money issue… my heavens, how much would a surgery cost? Ticked + depressed + immobilized = really deep and satisfying nap. I still woke up grumpy, though. Why didn’t I go in earlier? Because I didn’t feel like paying $300 to be told “oh you just have a sprained ankle… you need to do the RICE method.” (which is what I did). I’ve sprained my ankle before… I kind of know the drill. But this time, no… it was much worse than a sprained ankle. I have learned a few things during this journey… I’ll share those in some upcoming blog posts. For now, I’m going to rest… all of this typing is exhausting! So sorry to hear, Jason. Hope you have a speedy recovery! 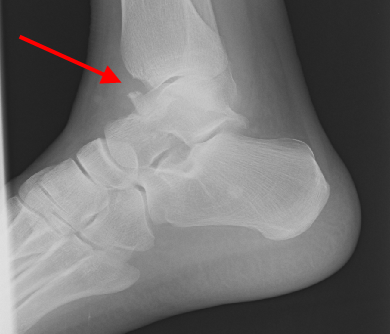 I have heard it is quicker to recover from a broken bone in the ankle than a sprained ankle. @Norm, thanks… I’m on the right path now. @Dennis, that’s what I’ve heard, too. The surgeon said that the bone should heal as strong as it was, and maybe even stronger.